Cadillac's ambition to deliver German and Japanese-style luxury and performance in an American-cooked package has not abated. The forthcoming 2016 Cadillac CT6 takes on the most hallowed of German executive shuttles: the Audi A8, BMW 7 Series and Mercedes-Benz S-Class. The Lexus LS and Jaguar XJ can also be counted among this elite group that Detroit's prestige badge intends to join. If the CT6 simply adopts the design themes from its smaller, muscular CTS and ATS sedans, the rest should fall in place. A longer hood, larger trunk and voluminous rear seat will give the CT6 the low-slung, long-wheelbase presence it needs in this class. Yet even if the new car resembles its junior partners, the CT6 won't simply be a CTS with a longer body. It will be one of the first General Motors cars, if not the first, built atop a new chassis intended for GM's future full-size luxury cars and crossovers. This should help infuse the CT6 with its own unique driving, handling and comfort qualities, without simply adapting its character from the smaller cars. What's Under the Hood? An all-new twin-turbocharged 3.0-liter V6, rated at an estimated 400 hp and 400 pound-feet of torque, will be the CT6's standard engine. A V8 option, however, is almost a requirement in this class. Cadillac hasn't announced a V8 yet, but eventually we'd expect to see something from GM's latest family of small-block eight-cylinder engines. An eight-speed automatic transmission will pair with the new V6, and all-wheel drive is a likely option for buyers in snow- and rainbelt states. What Unique Features Will It Have? 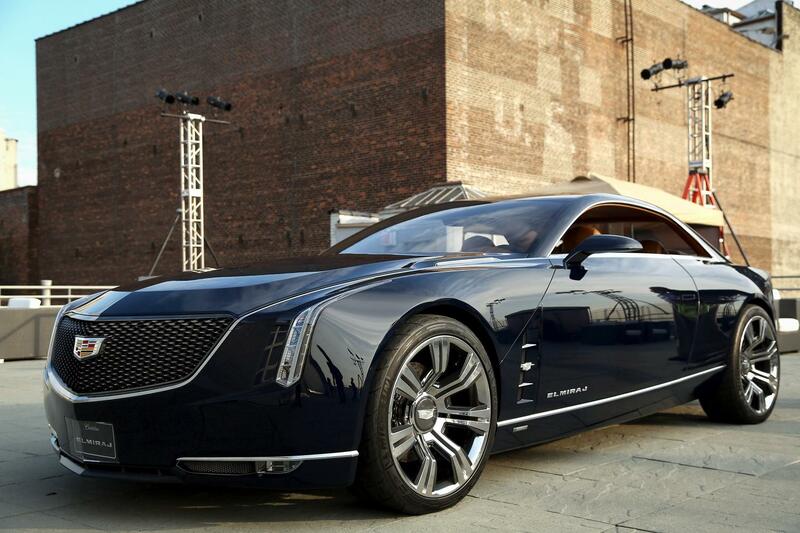 The interior should boast the full complement of Cadillac style and technology. Expect the cabin to feature large swaths of leather, wood and aluminum trim, accented by customizable LED ambient lighting. A long-wheelbase CT6 isn't likely, but the rear seat area looks large enough to accommodate optional reclining seats with footrests. At the very least, there will be a vast expanse of rear legroom. Cadillac's CUE infotainment interface is likely to come standard and it can't be improved, upgraded or overhauled soon enough for this premium luxury experience. How Much, and What Else Is Out There? The full-size luxury sedan segment is wildly competitive. With offerings from Audi, BMW, Jaguar, Lexus and Mercedes, there's not a bad one in the bunch. Even the Hyundai Equus is a legitimate contender in this group. But if you're looking for what promises to be a world-class luxury sedan from a legacy Detroit brand, the CT6 should be worth the wait.